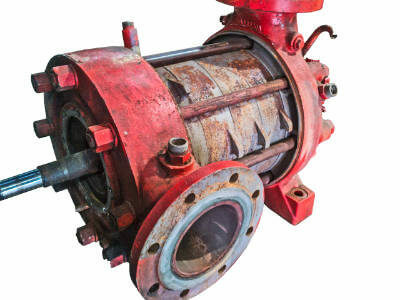 Recent updates in our range now include positive displacement offloading (stripping) pumps. Standard is our 1000 l/min unit with 7.5kW motor. Other sizes and drives available. 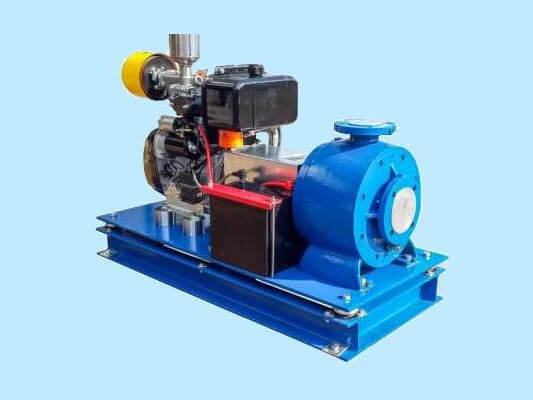 European Pump Services Ltd was established to provide pump users with access to a company capable of providing services in all aspects of pump use. 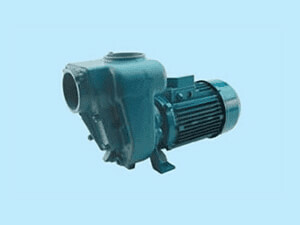 ...• Supply of new pumps relating to specific specifications or direct replacements. ...• The sourcing and supplying of spares from any manufacturer, current or obsolete. ...• Manufacturing or re-manufacturing of components in our own machine shop. ...• Providing on or off site servicing of any manufacturers pump. 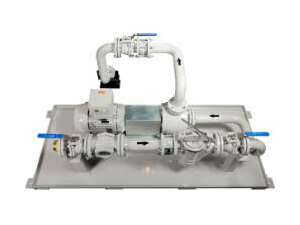 ...• Giving diagnostic advice and consultation to any user with a pumping problem. 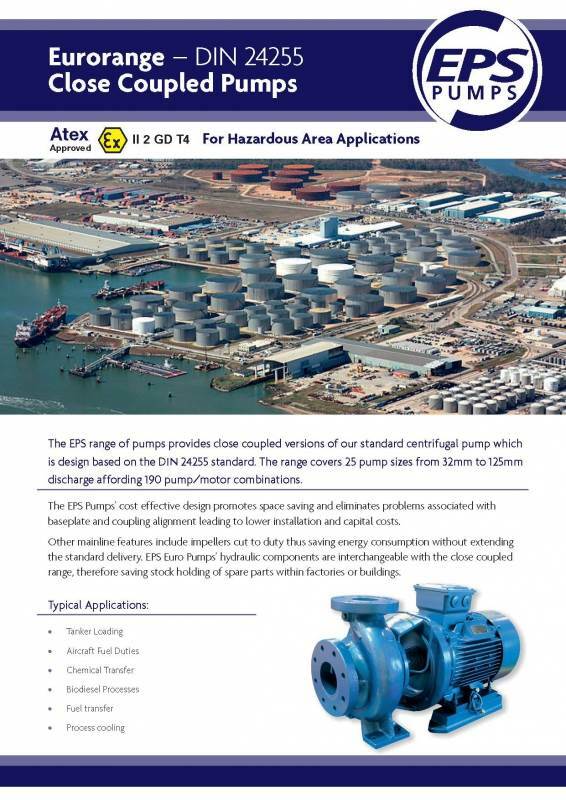 European Pump Services Ltd offers a range of highly reliable Atex Pumps including both close and long coupled centrifugal pumps. 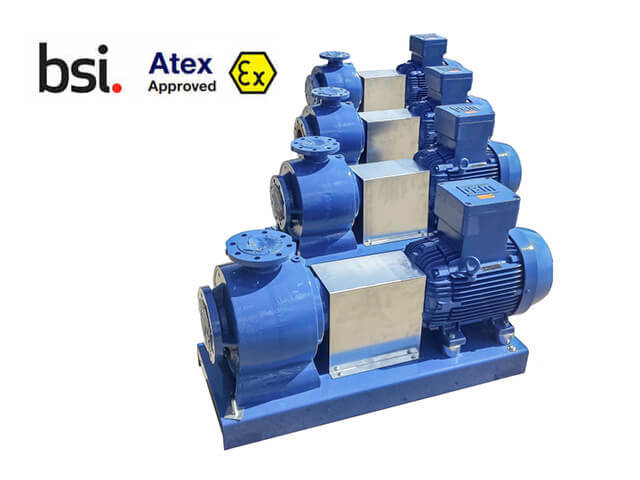 We offer a range of Atex Pumps that have been specifically designed for applications where operating conditions such as explosive atmospheres and similar environments. 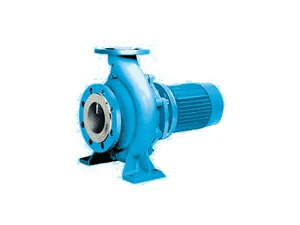 All designs are based on DIN 24255 which makes this range of pumps fully interchangeable with most others. European Pump Services Ltd also offers pump servicing for both off and on-site requirements. This service includes collection, removal and installation. Once again for hazardous and flameproof applications European Pump Services supply Atex Centrifugal Pumps Flameproof - Group II cat 2. We supply pumps from 32 to 150 mm from 5 to 450 m3/hr with up to 100 meters head power. 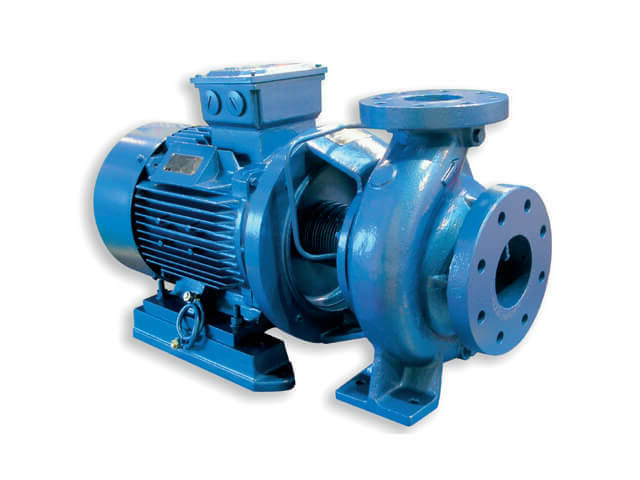 This range provides close coupled versions of our standard centrifugal pumps designed on the DIN 24255 standard. Sizes range coverage is from 32mm to 125mm with a discharge of 190 pump/motor combinations. Applications range from Aircraft Fuel, Chemicals and Tanker Loading through to Process Cooling and Biodiesel Processes. 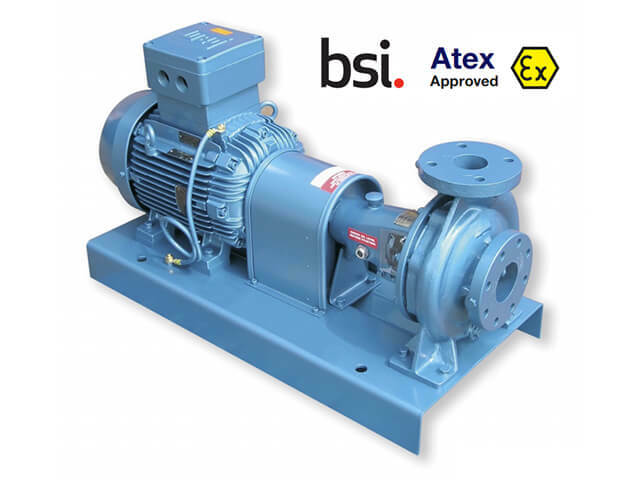 For hazardous area applications the RVP range of baseplate mounted offloading/stripping pumps from European Pump Services are Atex Approved II 2 GD T4. They provide extremely efficient suction and self-priming capabilities for up to 1000 I/min. 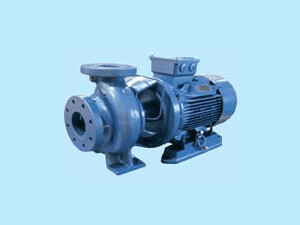 When a service is required these robust pumps require few tools with minimal training to maintain optimum performance. 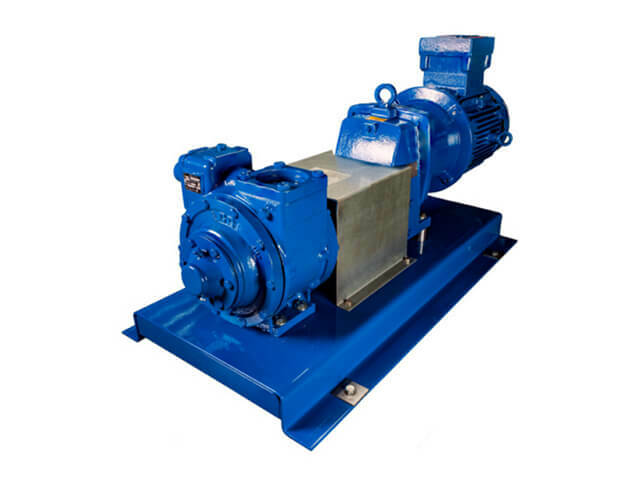 All RVP pumps are manufactured with the vanes made from advanced polymers to reduce friction during operation. 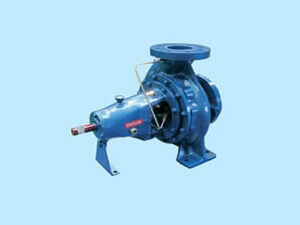 They are also self-adjusting to compensate for wear extending the life of the pump. To find out more about this range please visit the European Pump Services website. 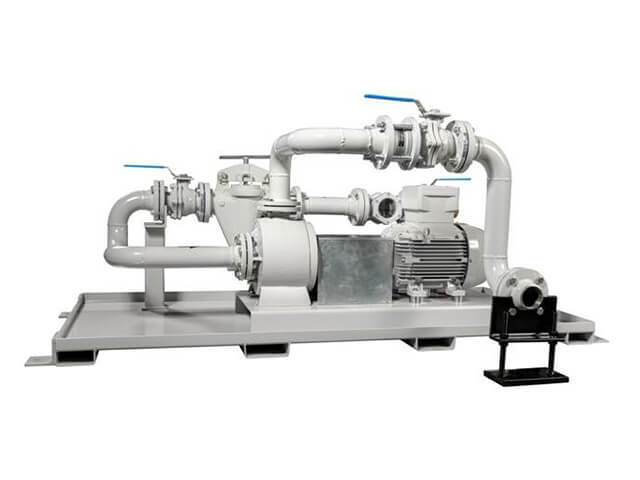 The robust Pumps from EPS are not only cost effective in design and space saving but have been created to eliminate the problems normally associated with baseplate and coupling alignment which normally results in high installation and capital costs. Other features provided by this range includes the impellers cut to size which reduces consumption without increasing the standard delivery. All are fully interchangeable with all of the close coupled range from European Pump Services which means you do not have to stock up on spares for your future maintenance procedures. European Pump Services listened to the requirement, made the necessary technical selections and calculations for our loading system, and delivered an ATEX Ex stripping pump 6 days after our order. Perfect performance to date. Thank you very much. We started using EPS as other suppliers were letting us down with speed and quality. Ian knew what we needed and showed us his understanding of our operational problems we were having. We dont have problems any more. Thanks.